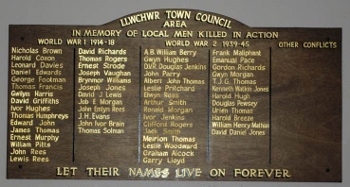 This monument was built to remember the men of Loughor (Llwchwr on the monument) who fell in the Great War 1914-1918. 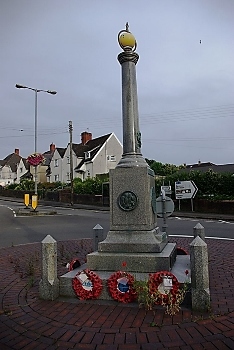 The monument is located on a round about in the middle of the road, at a junction formed between Corporation Road and Glebe Road. It was unveiled on May 14th, 1927 by Vice Admiral Henege-Vivian and a memorial service is held once per year on Armastice day. 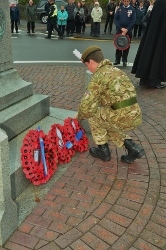 A plaque was later added to the plinth supporting the monument to commemorate the 2nd World War 1939-1945.